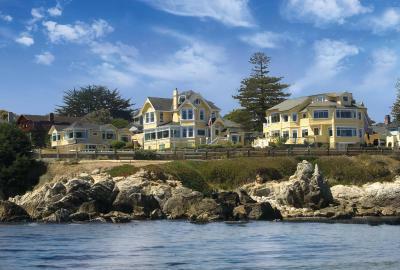 Lock in a great price for Seven Gables Inn – rated 9.3 by recent guests! Everything... The staff is very helpful and welcoming, breakfast was so good and the view is gorgeous, wine tasting is also amazing and the view is so special. 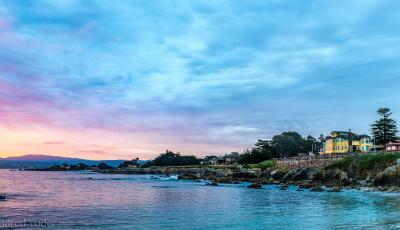 The room we picked was Rocky Shores and the view was spectacular. There is a very nice walk and park close by and it is 10 min with car to the Aquarium. I have been recommending this to everyone I met after my trip for a romantic relaxing short trip from San Francisco. The room was spacious and the bed was comfy! Wish we could have stayed longer. Bonus you could hear the waves crashing at night. The breakfast was amazing and delicious! Everything was top notch, the bay views were wonderful and it was close walking distance to Lover's Point and ocean front walking paths. 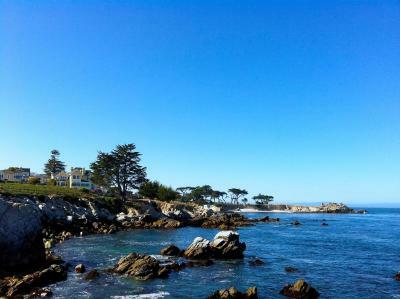 Also very close to downtown Pacific Grove and close to Cannery Row and the Monterrey Wharf. Great wine tasting with gourmet cheeses every afternoon, fresh baked cookies at 8;30pm and wonderful buffet breakfasts with ocean views at the tables. Even the guests, many of them repeat visitors, were so friendly. The room perfect, bed was comfy and a view of the ocean, This is the 3rd time we have stayed and each time we are certain we will return many more times. The location couldn't be better, short walk to the ocean. Breakfast is great with a view of the ocean. The staff was friendly and attentive at all times. Such a great place, the great care taken to refurbish this old home and the decor is fantastic. 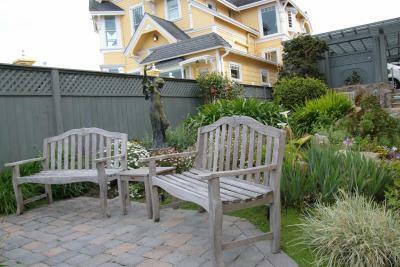 The outdoor grounds are very impressive where you can sit and enjoy the outdoors and views. Rooms are very clean and comfortable beds most have great views. This was our second time here and we will be back for another stay. Very nice breakfast with a wonderful view and opportunity to mix with the other guests. Quite and peaceful surroundings even though on a popular street and area. We were celebrating a 2nd honeymoon after 34 years. We spent the 1st one here, too. We were made to feel special the whole time, both through interactions with staff and through all the daily scheduled events. Seven Gables Inn This rating is a reflection of how the property compares to the industry standard when it comes to price, facilities and services available. It's based on a self-evaluation by the property. Use this rating to help choose your stay! 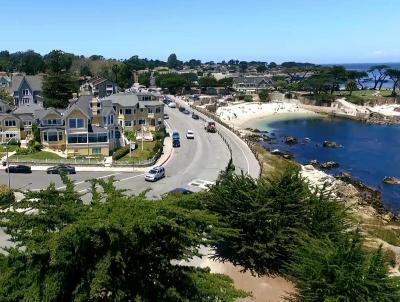 Nestled along the rocky shoreline of the Monterey Peninsula, this historic oceanfront inn provides charming accommodations, as well as personalized services and thoughtful amenities, close to popular area attractions. 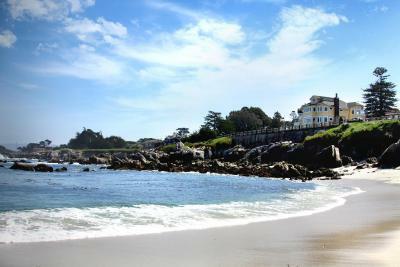 Experience stunning ocean views while enjoying the Seven Gables Inn's complimentary daily breakfast. Explore the beautiful gardens surrounding the inn before attending the complimentary afternoon wine and cheese reception. After the evening snack, relax in the cozy guest rooms furnished with complimentary amenities, such as goose-down comforters and Wi-Fi. 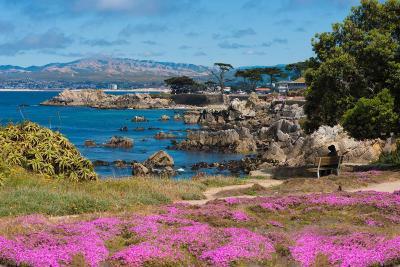 Visit Pacific Grove, Monterey and Carmel, featuring restaurants, shops and entertainment options, only a short distance from Seven Gables. 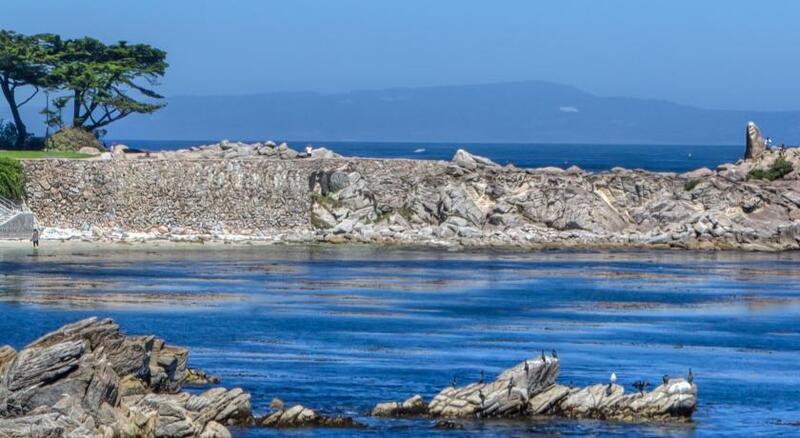 Play on the world-famous Pebble Beach Golf Course or visit the Monterey Bay Aquarium to discover exciting California sea life. 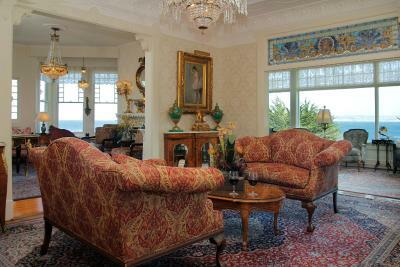 When would you like to stay at Seven Gables Inn? Offering free WiFi, this accommodations features 6 Unique Premium King Rooms on 2nd or 3rd floors (no elevator) with premium ocean views. Fine toiletries, bathrobes, a hairdryer and complimentary snacks are provided. Maximum occupancy is 2 adults only (see Hotel Policies). Any additional people of any age cannot be accommodated. Complimentary breakfast, wine and cheese and cookies and milk included in room rate. Free on-street parking is provided. No TV provided in this room type. Offering free WiFi, this accommodations features 6 Unique Luxury King Rooms on Ground level, 2nd or 3rd floors (no elevator) with moderate ocean views. Fine toiletries, bathrobes, a hairdryer and complimentary snacks are provided. 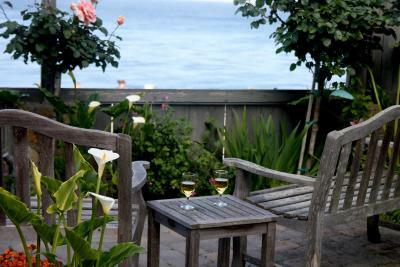 Offering free WiFi, this extra spacious accommodations features a private terrace and ocean views. A flat-screen TV, a fireplace, fine toiletries, bathrobes, a hairdryer and complimentary snacks are provided. Maximum occupancy is 4 adults only (see Hotel Policies). Any additional people of any age cannot be accommodated. Offering free WiFi, this accommodations features 4 Unique Deluxe King Rooms on Ground level or 2nd floors with moderate ocean views. Fine toiletries, bathrobes, a hairdryer and complimentary snacks are provided. No TV is provided in this room type. Offering free WiFi, this accommodations features 4 Unique Standard Queen Rooms on Ground level or 2nd floors with limited ocean views. Fine toiletries, bathrobes, a hairdryer and complimentary snacks are provided. There is no TV in this room type. Offering free WiFi, this extra spacious accommodations suite features a private garden, a patio and ocean views. A flat-screen TV, 2 fireplaces, fine toiletries, bathrobes, a hairdryer and complimentary snacks are provided. House Rules Seven Gables Inn takes special requests – add in the next step! Seven Gables Inn accepts these cards and reserves the right to temporarily hold an amount prior to arrival. Reservations of 3 or more rooms are considered groups and additional policies may apply. If canceled or modified later or in case of a no-show, the total price for the reservation will be charged. Guest rooms hold a maximum of 2 guests only. If you arrive with additional people of any age we will not be able to accommodate you and you will forfeit any pre-payment unless the room is re-rented. They got my birthday wrong. They thought it was my husbands. Beautiful location. Lovingly furnished. Wonderful staff. Our room was a little too warm. The one window did not allow air to enter the room much. We were happy to see an electric fan in the room which helped a lot! Milk and cookies ended too early! No complaints even the weather was fantastic.